This guide is filled with very helpful photos, so you can see how to achieve each pose. Download the CHEAT SHEET to your phone and use during the session as a guide. This will work for even most sensitive babies. My clever posing sequence will show you how to get 8 photos of one pose without moving and waking the baby. This is a digital e-course that will download instantly. The files will be available to download as soon as your payment's cleared. All content is protected by Copyright, Designs and Patents Act 1988. Copying, sharing or uploading any part of contents is against the law. I've been receiving emails and messages through my website with questions regarding my settings, set up, the type of lighting I use, where I get my props and outfits and how do I always keep babies so happy and smiling. Well, long before I photographed my first newborn, I started offering baby photo sessions. Finally, after years of experience, I came up with a system that works for me. System that allows me to complete the full session in just around one hour and lets me get the most out of that time. 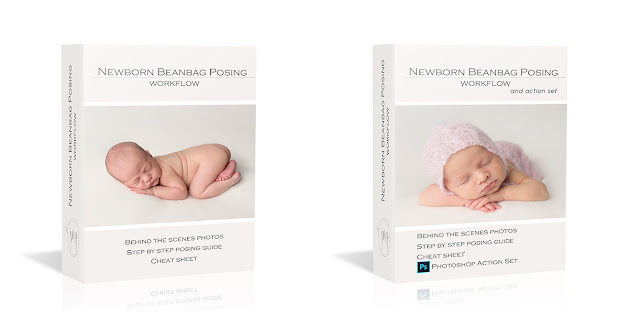 I put together this PDF guide that covers everything you need to know to have a successful baby photo shoot. I quickly talk you through the basic but very important aspects, that should not be overlooked. I also show poses for babies at this stage and transitions to those poses. I explain how I prepare for every session and what I do to make my setup changes take as little as 3 minutes. I tell you how I plan my session to make sure I get the most out of each pose and each set up. 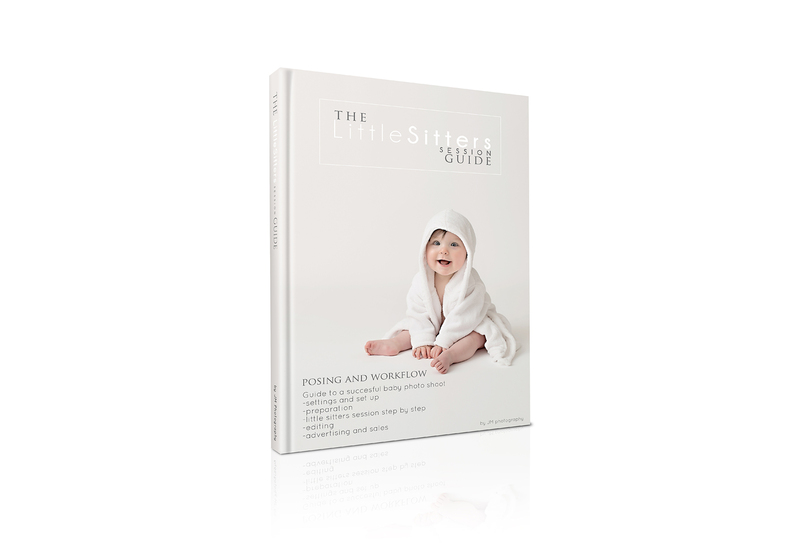 You will also see my Little Sitter Session step-by-step with pictures and explanation. You will see how I completed my first set up within 6 minutes, getting 9 different images right at the beginning of the photo shoot, so if for some reason the rest goes wrong, you've got something to work with. When it comes to babies, we don't have much time on our hands. Once they're done - they're done. That's why I always prepare parents before they come, so the session run smoothly and to make sure I have a happy baby in studio. I also discuss some marketing techniques, to help boosting your business. The Little Sitter guide™ contains the essence of my knowledge and experience. Something I've learnt through the years. I hope it helps you skip the "learning from your mistakes" phase. At the end there's a list of my favorite vendors I use all the time and a lifetime discount code to one of them. or get it directly from here buy clicking the button below. This is a PDF tutorial that will download immediately after purchase. This guide will show you how to do a quick background fade in as little as 1min (once you get a hang of it). This tutorial shows how to achieve that awesome background fade in your images without getting very noticeable banding, like the one you get using your brush tool to paint the fade on your image. 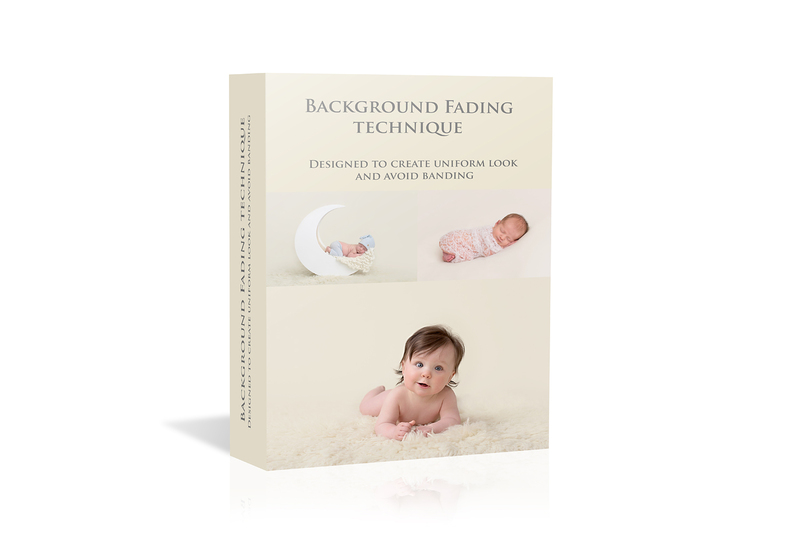 You will learn how to do 2 different background fades.